Health is everything. That’s why is important to closely know the vegan diet deficiencies, often attributed to the diet itself, but in reality due to other factors, such as an unbalanced diet, the refusal to take supplements or supplemented products and a bit of extreme lightness. Vitamins, minerals, proteins: what is missing from a vegan diet? If you are vegan or vegetarian, then you already know the surprise of those who, after finding out that you don’t eat meat, still finds you alive and maybe even more in shape. From here, a series of curious questions about how this could be possible, if you have a lack of iron or calcium, where do you take proteins from if you eat tofu every day? In any diet, when you follow a specific one, deficiencies may occur due to the lack of the necessary nutrients needed by our body on a daily basis. It doesn’t matter if you are omnivorous, vegetarian or vegan. However, let’s take a closer look at the last case. Not including food of animal origin and because of its growing popularity, the vegan diet has been increasing over the years under the spotlight of the scientific and the world of media. As we have already analyzed in our previous article, the benefits of the vegan diet are not only reflected in millions of people who have embraced this lifestyle, but also in the research. However, as you probably know, it should be emphasized that a vegan diet, if not followed by precautions, can lead to a series of more or less dangerous deficiencies. For this reason, it is always good that those who support the vegan cause are aware of the necessity to follow a varied diet and take advantage of the supplements on the market to avoid any nutritional deficiency. Because it is good to remember: a vegan diet is not only an ethical choice but also a healthy one. The vegan diet represents the vegetable nutritional choice that doesn’t require the intake of any animal product. Unlike vegetarian or semi-vegetarian diets, the vegan diet does not include milk, cheese or eggs. If you don’t follow a balanced and complete diet, this may result in some deficiencies in the intake of vitamins and minerals useful for our body. Vitamin B12 (cobalamin) is a water-soluble vitamin that plays an essential role in the formation of red blood cells, in cell metabolism, in nerve functions and the production of DNA. From the tasks that Vitamin B12 helps to complete in our organism, we can deduce its importance in human nutrition. Vitamin B12 deficiency symptoms range from pale skin to low blood pressure, depression to confusional states, ambulatory difficulties to fatigue. While vegetarians don’t find particular problems in finding Vitamin B12 from eggs and dairy products, vegans can compensate with specific supplements or products with added cobalamin, such as beverages, vegetable burgers, tofu, etc. As we have highlighted in our article dedicated to Vitamin B12 (read here), some scientific studies show that vegans who follow a careful and complete diet have values ​​of Vitamin B12 even better than omnivores. Vitamin D is produced by the body when we expose ourselves to sunlight. 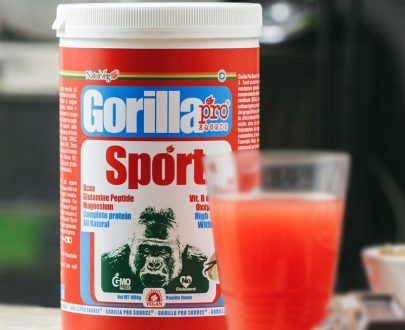 It is also found in fish, fish oil, eggs, and our Gorilla Slim and Gorilla Pink supplements. This vitamin helps us to keep our bones healthy, by controlling the amount of calcium and phosphates present in our body. The recommended daily dose of Vitamin D is around 8.5-10 micrograms a day. For vegans and vegetarians, especially those who do not live in the Maldives or in some other places where the summer is 365 days a year, this deficiency can occur during the winter season, when exposure to sunlight is reduced. For this reason, it’s recommended to take specific supplements or added products, such as vegetable milk or whole foods. According to some scientific studies, people who do not include fish, eggs, and seaweed in their diet may have deficiencies of omega 3, eicosapentaenoic acid (EPA) and docosahexaenoic acid (DHA), three fatty acids that play an essential role in the health of the cardiovascular system, vision, and brain. 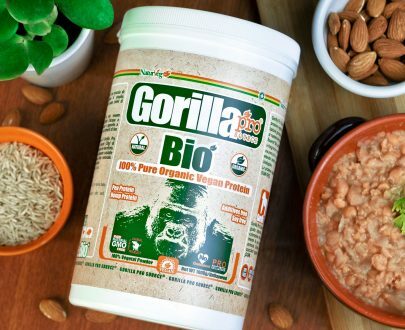 In addition to omega-3 supplements, plant foods from which vegans can acquire long-chain fatty acids are coconut and pumpkin, hemp, chia, and linseed seeds. Iron is necessary for cell growth, development, and functioning, as well as for the synthesis of certain hormones and connective tissue. Iron is divided into heme and non-heme. The first one is contained in animal proteins and is better absorbed than the non-heme category, contained in plant foods. Despite this, both vegans and omnivores are at risk of iron deficiency. Men between 19 and 50 have a daily requirement of 8mg, while women of 18mg. The most apparent symptom of iron deficiency is anemia. The best way to solve this problem is to intake abundant quantities of vegetables, legumes, and beans, supported by the right amount of Vitamin C, which helps to absorb the iron better. Vegetarians and vegans are also at risk of calcium deficiency. According to the Vegetarian Resource Group, calcium is necessary for the skeletal system, for the muscles and the nervous system. The daily calcium requirement is 1000 mg per day for adults between 19 and 70 years. While for women over 50 and men over 70 years the daily requirement increases to 1200 mg.
Iodine is necessary for thyroid health and metabolism regulation. Iodine deficiency can cause thyroid problems, organs and immune system functioning, increased anxiety and slow metabolism. The daily iodine requirement for women and men over 19 years is 150 micrograms. Iodine-rich foods are naturally iodized salt, products of animal origin (due to iodine present in forage and iodine included in some disinfectants that are used for milk-making machines), in eggs, in fish and also in some types of bread. Fruits, vegetables, and nuts are not rich in iodine, although this depends on the soil in which they are grown and fertilization practices. Proteins are like the bricks of the body. Without them, you can’t live a healthy life, and you may experience a series of symptoms of protein deficiencies such as edema, weight loss, skin rash, weakness, insomnia, headache, and pallor. According to scientific studies, the daily protein requirement for an individual who follows a vegan diet is around 0.36-0.8 grams per kilogram of body weight. This variation depends mainly on the lifestyle followed and the consumption of energy. 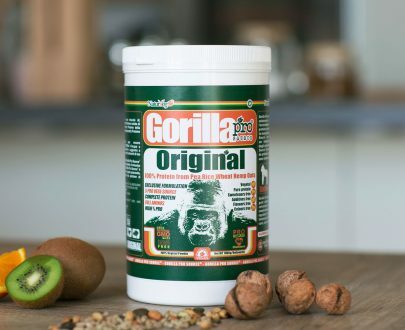 Otherwise, if you want to intake proteins in a simple, fast, tasty and natural way, you can try one of our Naturveg supplements, as the Gorilla Platinum – the the most complete vegan supplement on the market (find out more), complete of vitamins, mineral salts and from 2 to 7 plant proteins. It is not easy. Symptoms can be vague and often attributed to other causes. If you develop a persistent and inexplicable sense of fatigue, weakness, headache, difficulty in concentration and processing information, then you should consult your doctor or check the level of vitamins and minerals with an analysis. 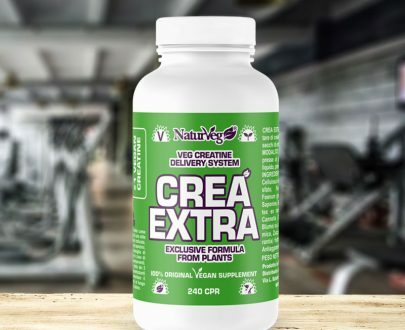 Vegan supplements can help you prevent and even solve the problem. The important thing is not to perform any self-diagnosis in case of suspected vitamin deficiency, but it is always better to contact a specialized doctor.